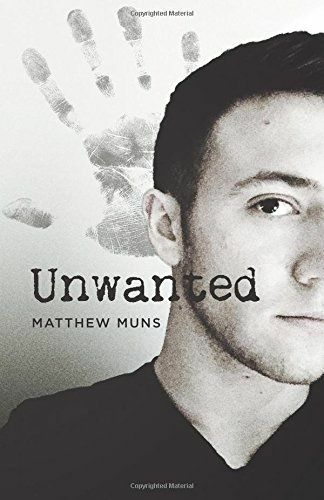 "Unwanted" is the first book in a self-published trilogy titled "The Unwanted Chronicles," written by Oakland University undergraduate Matthew Muns. It’s a difficult task to take on, especially to try and create something that hasn’t been done before. So, while reading, I did notice elements of Hunger Games and Divergent. There’s the sense of territories, with specific jobs appointed to them. There is a class structure where the poor are farther away from the capital and the rich live a lavish and brainwashed lifestyle. There is also a test and annual event the characters must go through to determine where they will live to serve the Order. 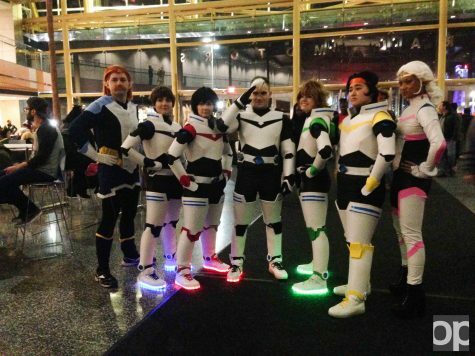 From this standpoint, it almost feels like a rip-off. However, don’t judge the book based on its genre. Unwanted stands up against the powerhouses of Dystopian novels. One of the major differences is the protagonist. Hunger Games and Divergent follow strong female characters. Unwanted follows Jonah Argone, a character who has strong beliefs and never wavers from his intuition and faith. In addition to the simple change in gender, there is little romance in the novel. In the competitor novels, a romantic interest plays a large role in the plot. Katniss has to choose between Gale and Peeta, and Tris must come to terms with her affection for Tobias. That being said, Jonah does have some mild interest in female characters later on in the book, but this novel focuses on the bond between friends and family, and the importance of keeping faith in your life in the face of adversity. It was a fresh look into the dystopian young adult novel. One more mark of praise for Muns is his ability to create a new world without dumping years of history into the first chapter. He gives just enough details to hook you in, and continues to guide you along the new society by giving you more information as you need it. Moving forward with the plot of the novel, there are times where the story seems to slow down. Many chapters end with Jonah falling asleep in bed. However, there are times where the story charges forward, suddenly jerking you in different directions as you try to figure out what’s going to happen next. From chapter eleven onwards, the plot escalates and comes to a high point at the end of the book that left me pacing the room and yelling at my book because I simply couldn’t believe what I was reading – and not in a bad way. It was quite the opposite. I was thrilled, exhilarated, and pumped for what was next. The main driving point in the novel, I think, is the characterization. There are a lot of characters in the novel, and at times it can be hard to juggle. However, every single character is unique and brings a different element to the story. Jonah is the strong of faith protagonist, Julian is the comic-relief and big brother figure, Noah is the typical younger brother who has an edgy side, Damian is the rival you love to hate, and so on. Not one character is the same as another, and people you think you can trust break your heart, and those who you are wary of prove to be the good guys. My single critique on characterization? A lot of the guys have the same hairstyle – but that is most likely a popular fashion style for the culture. The writing style overall is very clean. Not one typo, something that Muns will be very happy to hear. At times the writing can feel simplistic, but seeing as it is written in first person present, that can be expected. However, there are times where the syntax is so clear and crisp, it blew me away. Muns sprinkles sharp descriptions throughout the novel, starting in the very first chapter with, “Something about the way the saliva catches in the back of his throat give the impression of a drowning man.” I would highly suggest Muns’ continue to do this with the rest of his novels, because they were definitely a literary treat in his commercial piece. Another treat was the symbolism within the novel. There are times where I thought Muns made a mistake, such as repeating the detail of Jonah’s locker being 220. However, the third time it was mentioned I realized that Muns is pointing out the importance of numbers and classification. He’s practically shouting, “This is important! Pay attention!” As I paid attention, I was able to pick up all of the subtle hints and symbols – although some I missed and that led to wonderful red herrings that left me guessing the entire time. And of course, there is the all-important symbol of The Hand. On a literal level, it represents God, and the Unwanted are Christians. On a deeper level, it’s a voice of hope for those who feel unwanted or lost. It is something for the characters to believe in and stand up for. It’s the true message of the novel, and the trilogy as a whole. Overall, this is a very strong debut novel for Muns. Although it is a self-published work, I am certain is has the opportunity to be picked up by a larger publisher and become the next popular dystopian series. Muns’ final statement about the series is that the readers are going to have a nice start and finish, that all of our questions will be answered. I know I’m definitely excited to read more.